The Titanic disaster was one of the most infamous tragedies of the modern century. Almost everyone knows the story of the Titanic, but this photo is one that has rarely been seen. 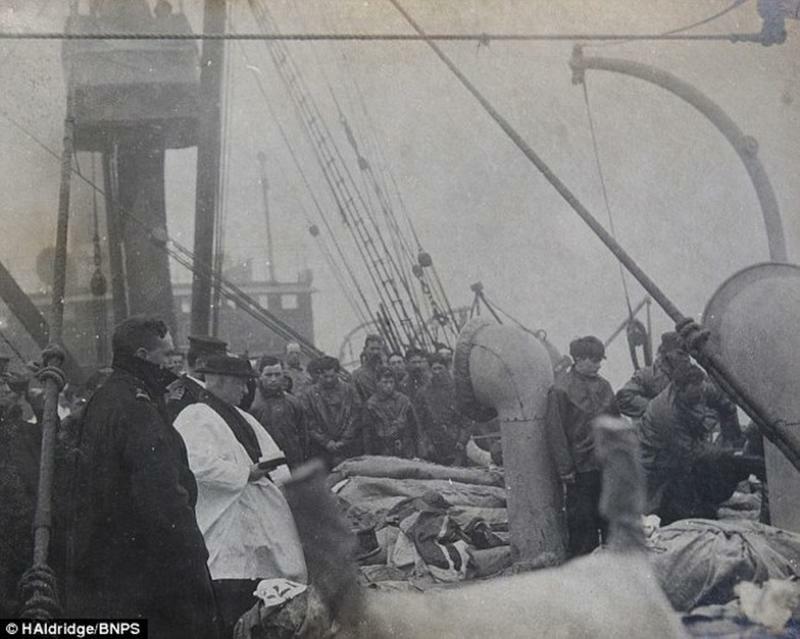 It shows a priest praying over the victims of the Titanic for a funeral for the dead being buried at sea. This photo was so rare, that it was only discovered over 100 years after the disaster.